CNC machining is important to modern industries that require components with tight tolerances. Many industries necessitate intricate parts, like standoffs and inserts, produced through precision machining. 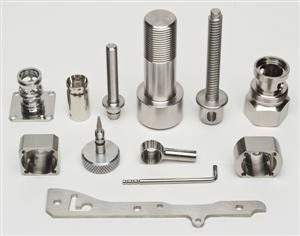 CNC machining relies on the expertise and dedication to produce minuscule parts for Automotive, Medical, Dental, Defense, Computer,Electronic, and so on. CNC machining for parts with high precision require knowledge of the industries. It also requires acquired skill through years of experience, advanced Computer Numerical Control (CNC) technology, and up-to-date machining equipment. Our highly trained employees complete CNC precision machining—of intricate components for highly complex industries—out of a technologically advanced jobshop. Jiangsu Tech supplies precision machining alongside precision CNC machining. Our precision machining services are in accordance with the highest industrial standards and utilize our advanced equipment. Our expert machining staff consults with clients to get a feel for the part or component specifications they require. Our precision machining engineers monitor all projects every step of the way to ensure complete accuracy. When a client’s project requires extreme tolerance, Jiangsu Tech specializes in CNC machining. Our expert CNC machining services supply highly controlled and tight tolerances. We use a variety of CNC machines to produce highly intricate components, like standoffs and inserts. The advantage of precision CNC machining services is being able to create large volumes of intricate parts with individual component accuracy. We continuously test our machines to ensure every product is given the highest precision and accuracy available. Our precision machining and precision CNC machining services are used for a variety of metals and plastics including titanium, steel, brass and copper. We are confident in our precision machining and we provide services to some of the world’s most complex industries.